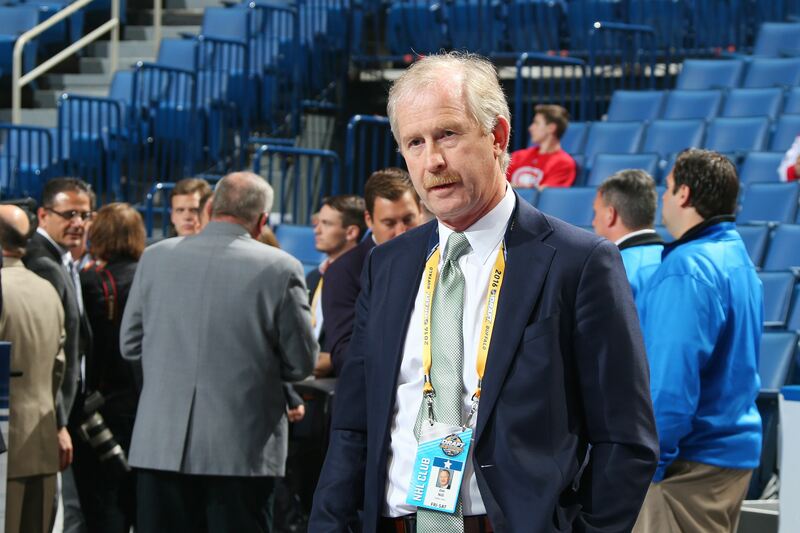 For a franchise with one series win since 2008 in the NHL playoffs, Jim Nill’s fifth summer in Dallas may be the one that sets him on the path to a 20+ year career with the franchise or puts his administration on the hot seat as early as next summer. During his four years, the Dallas Stars have made two playoff appearances, peaking in 2016 with a second round game 7 loss to St Louis. While the July 4th, 2013 fleecing of the Boston Bruins in the trade for Tyler Seguin is his high point to date, Nill has also had a few FA signings go south on him — Jiri Hudler and Sergei Gonchar, for example. This summer feels like the “final exam” in his tenure in Dallas. Ace it and set the franchise up for long term success; do poorly, and the whispers about him being on a short leash will begin. Let’s grade the moves from this offseason and see where the team is headed. The night in the spring of 2014 that Kari Lehtonen got run by Erik Haula (Minnesota Wild) is a date that will live in infamy for many Stars fans. Many believe that Lehtonen was never the same goalie after dealing with that concussion, and point to the 2014 first round game 6 loss to Anaheim as Exhibit A. Leading by two, with less than 2:30 to play, Dallas surrendered three goals in the next 4:00 of game time and were eliminated. Expectations were high for the following (2014-15) season, but below league average goaltending, including just seven wins in 17 starts by any of three backup goalies that Nill brought in, led to the Stars missing the postseason for the fifth time in six years. In the summer of 2015, Nill traded a fifth round draft pick to San Jose for the rights to pending UFA Antti Niemi. After signing him to a three year deal, the Stars had more than $10M committed to goaltending. The plan was for both goalies to fight for the #1 spot, and it worked, to a degree. Both goalies sported 25 wins for the season, yet both were pulled multiple times during the season…and they were both pulled at least once in the postseason. While the loss of Seguin to injury may have had more impact on Dallas not advancing past the St. Louis Blues in the second round of the 2016 playoffs, the goaltending, which allowed 3 goals in the first period of the Game 7 matchup, on home ice, was deflating for the fan base…and the team? This offseason, Nill traded a fifth round pick to Los Angeles for the rights to pending UFA Ben Bishop and almost immediately signed the big (6’7″, 215lbs) former Vezina winner and Stanley Cup finalist to a 5-year deal. Nill also bought out the contract of Niemi, making Lehtonen the highest paid backup in the league. The thought here is that Bishop will be the #1, but will not carry a 60+ start load into the (expected) playoffs. Lehtonen will likely get 25-30 starts, leaving Bishop fresh for an anticipated deep run into the postseason. After carrying 8 on defense the past two seasons, ostensibly because he was loathe to lose one to waivers, Nill now finds himself with 9 defensemen that can’t be assigned to the Austin-based AHL Texas Stars without passing through waivers. While the logjam appears unwieldy, the acquisition of Marc Methot by sending a 2020 third round pick and 2017 seventh round pick (goalie Dylan Ferguson) to the Las Vegas Golden Knights seems to have solidified the blue line, leaving former first round pick Jamie Oleksiak, Patrik Nemeth, and 2017 trade deadline pickup Greg Pateryn to fight for the seventh D spot on the 23 man roster. The Stars are solid in the top 6, with 2 veteran left D (2016 UFA signing Dan Hamhuis and Methot) and LD Esa Lindell (who partnered wunderkind John Klingberg for >80% of his minutes). The right side will be manned by Klingberg on the top pair, with rookie Julius Honka (who, in a limited sample size, drove possession at a >55%CF) and Stephen Johns searching for their role, and partner, on Dallas’ defense. There is some thought that Ken Hitchcock may switch Hamhuis and Methot and use the top pair aggressively in Ozone starts, giving Methot-Honka the tough minutes, while utilizing Lindell-Johns as a matchup pairing. Reports out of Austin describe their play on the top pairing for Texas as strong in any sort of usage. With C Jamie Benn’s $9M+ AAV contract set to start this year, and both Seguin and Jason Spezza having 2 years remaining on their current deals, the pressure is starting to mount in Dallas. Will Seguin be interested in staying in Big D if they don’t make at least one deep run into the postseason? Will Spezza continue to perform at nearly the PPG rate (0.78 in 3 years in Dallas) he has for the past 14 seasons? The injury bug hit Dallas hard last season; at one point 9 forwards (Seguin, Benn, Spezza, Patrick Sharp, Valeri Nichushkin [KHL], Ales Hemsky, Patrick Eaves, Cody Eakin, Jiri Hudler, and Jason Dickinson[R]) were ALL out of the lineup. They got out to a slow start and could never recover enough to make a run at a postseason slot. Nill’s signing of both Alexander Radulov and Martin Hanzal to reasonably termed, high AAV contracts seems to indicate an “all-in” approach to the next two seasons. The expectation of icing Benn-Seguin-Radulov (combined for 70G-125A in 2016-17 while NOT playing on the same line) and following that with Janmark-Hanzal-Spezza should cause many opposing coaches a lot of sleepless nights. With Antoine Roussel, Radek Faksa, and Brett Ritchie anchoring a checking line that will give every team’s top talent fits, Hitchcock has a plethora of depth forwards (Remi Elie, Devin Shore, Dickinson, Adam Cracknell, UFA signing Tyler Pitlick) to call on as they fill out the roster. With 7 of the forwards on the roster having either played C in the NHL or significant time in their development (Juniors/AHL/CHL) playing C, the team’s center depth (Seguin, Spezza, Hanzal, Faksa, Dickinson, Shore) is impressive and appears to be insurance against the injury bug that hit the team early last season. How many goals will this line generate? Is 120 an unrealistic number? Radulov had a high primary assist percentage; dishing to Seguin and Benn is likely to increase that number. Hitchcock has been quoted as saying he can see Hanzal doing the C work in the defensive zone and Spezza doing it in the offensive zone; having both a lefty and a righty on the same line allows them to always be on their strong side for face-offs, regardless of the zone. The competition for playing time in camp will be real. Aside from the six forwards listed on these two lines, Remi Elie, Gemel Smith, Brian Flynn, and Curtis McKenzie have all had NHL game experience with Elie and Smith showing well last season during injury call-ups from Texas (AHL). The Stars had a historically bad Penalty Kill in 2016-17 (73.9%). It looked like a combination of coaching, injuries early on that forced players into roles for which they were not suited, and generally poor goaltending. Adding Methot and Hanzal, along with better goaltending, should stabilize the Stars PK. With the scoring they appear to have, the PK doesn’t have to be top ten, it just has to move out of the worst bottom third of the league. The Power Play finished just above the bottom third…incredible when you consider the amount of scoring talent on the team, even taking into account the injuries. The PP appeared stagnant for much of the season and sometimes appeared to be “set up Seguin for the Ovi one-timer.” There was little movement and no one appeared to be truly in charge of the unit. The second unit had one official goal scored on the PP, so all teams facing Dallas had to do was basically kill off the first 45 seconds of any power play. Fans are hoping that the influx of both highly skilled forwards and (former Star) assistant coach Stu Barnes taking over special teams coaching will show a return to the top 5 PP team of 2015-16 (22.1%) (Statistics, 2017). Many in the Dallas Stars fan base came to be extremely frustrated with what they perceived were two wasted seasons for the young defensemen (Nemeth and Oleksiak, in particular). Some of that blame falls on Nill for carrying 8 D the past two years, thus relegating at least 2 of the roster D corps to eating nachos on any given night. The fan perception also included a belief that anytime one of the youngsters made a mistake, they automatically got to take a few games off. With Hitchcock, the hope is that this year the team will carry the normal 7 defensemen on the roster and that the #7 guy will actually get to rotate in and play. Nemeth and Oleksiak are traded, leaving Pateryn as the #7. There is also a small chance that Nill will try to put two of the three through waivers at the beginning of the season, but, since he has been reluctant to do so the past two seasons, this seems unlikely. Overall, Nill gets an “A” for his offseason. The team is in place, it’s now on the players to perform to their paper.